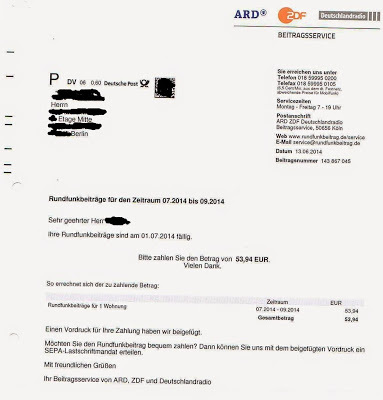 Should I pay the Rundfunkbeitrag? There is a lot I truly love about living here in Berlin, from the amazing beer and bread/bakeries, to the public transport, but there are also some things that I am not too keen on. I say “some” but this isn’t a set list, rather, it’s a list that varies daily- sometimes I hate how the buses come two minutes early and if you arrive on time for the bus you’ve still missed it! Or, sometimes, I don’t like how unfriendly people seem in the morning- I mostly chalk this one up to how early it is in the morning that I am out walking my dogs and I imagine these unfriendly people aren’t morning people, but also haven’t had their coffee yet! As I said, this list of “dislikes” changes from day to day and is a very small list, but one item that isn’t on that list for me is the mandatory TV/radio tax that every household has to pay yearly. I hear so many people complain about this tax, expressing extreme dislike/hatred for it and their refusal to pay it (really bad idea by the way-don’t do this). The name of this required tax is the Rundfunkbeitrag, these are the TV and radio broadcasting fees in Germany; these fees are used to finance the production and the broadcasting of content by the public channels. This tax was enacted in 2013 to replace an older rule that was hard for the state to police and implement; this new law in 2013 was designed to create a flat household fee in Germany of 17.50€/monthly (17.98€ before 31.03.2015). 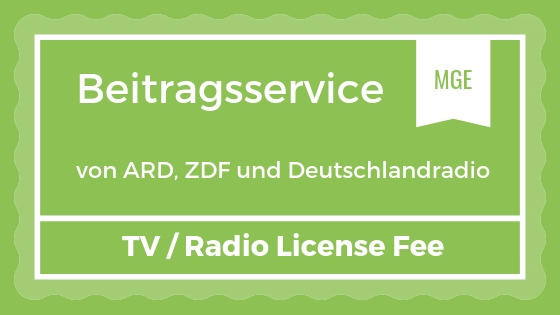 The government office that collects this tax is called the “Beitragsservice von ARD, ZDF und Deutschlandradio” (you will hear many people refer to this office by the old name of the GEZ). This office is a public institution that accesses the public records (the Bürgeramt- ring a bell? The government office where you registered your address when you first moved to Berlin?) in order to have the names and addresses of all the households in Germany to send these tax letters to every year. “So what?” you might be thinking, “I don’t watch German TV or listen to German radio so why should I pay this tax?” Bad idea friend- the easiest thing to do is to just pay this tax and look at it like this: do you walk on the sidewalks? Do you cross the roads? Do you enjoy the benefits of a well-run, efficient state government that provides efficient (cough cough) services to its’ citizens? If you answered yes to any of the above (and I sure hope you did because you are living in Germany, in Europe, a continent and a country respectively, that operate in a far more social way than the USA does, so I assume that your desire to be here in this more socialized society is down to your agreement/support of said society) than paying this tax won’t bother you one bit. It won’t rub you the wrong way to pay for a service for the good of the many regardless of whether you use the service or not. This is where I stand on this issue- I am happy to pay the tax whether I watch German TV or listen to the radio because that is part of the social contract I entered into with the German state when I applied for a visa to live and work here. End of story for me, but not for many- many people don’t like this idea of paying for something they don’t use and try to figure out ways to not pay it. This is a bad idea in many ways because this is a tax- there is no avoiding taxes. If you ignore the letters for payment and figure it won’t hurt anything, think again! Remember, this government office has access to the public records- any time you move in Berlin or Germany you have to register your new address (more details here), so they will ALWAYS be able to find you. Also, when you ignore it, the fees increase and you end up paying FAR more than you would have with just paying the original fee- that seems pretty stupid to me. The only way someone is able to get out of paying it legally is if they prove to the State that they have an audio or visual impairment that impedes them from actually using the services; recipients of social welfare/benefits or grants are also exempted from paying the tax. Another way to get out of paying the tax is to prove that someone else has already paid it-namely this is only applicable to those living in shared flats, WGs, and the person who is the main tenant can prove that they’ve paid the ARD fee for the year. This is a possibility because the fee applies to households not to individuals- one household gets one yearly fee. Short and sweet right? No one can get out of paying this tax without a documented medical reason or proof that their shared flat/roommates have paid the fee for that year. The rest of us gots to pay! Don’t forget that when (if) you leave the country for good and you go to the local Rathaus to file your Abmeldung (de-registration paperwork), you ALSO have to inform the Beitragsservice via their website so they remove you from their records/databases. If you forget this step, and you return to Germany in the future, you will be tracked down (that pesky Anmeldung again) and made to pay. Yay for living in a more socialized, people friendly society-taxes up the wazoo (that I, for one, am happy to pay). 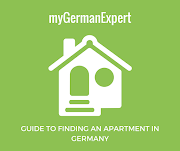 The city registration (Anmeldung) needs to be done within 14 days of relocating to your new German address. Once registered at the citizens office (often called Bürgeramt or Bürgerbüro), you will get by post some papers necessary to pay the German TV tax. If they "forget" about you, you could always register directly on the Beitragsservice's website to avoid paying a late fee at a later stage. Here is their website. This license must be paid even if you do not have any TV or radio and costs 17,50€ per month and per residence. Once you receive the bill (see image below), you have one week to pay. You can decide on your payment intervals when you apply for the license (i.e. monthly, quarterly, twice a year or yearly). For more details, you can read their brochure in English. Here is also some additional information for students.